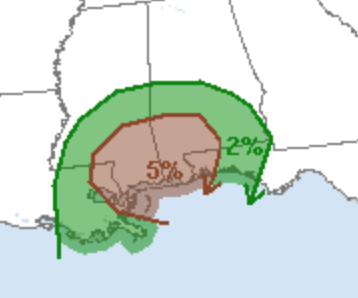 There is a significant tornado threat along the Gulf Coast later today. The 5% (brown) area is the region of concern. Please keep up on the weather in this area. It includes New Orleans, Gulfport, Mobile, Pensacola and Hattiesburg.